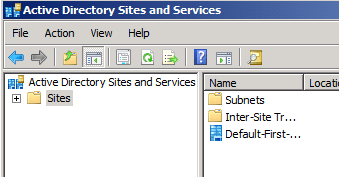 Answer:By default when installing a new active directory Domain the installation creates a default site link and a default site. 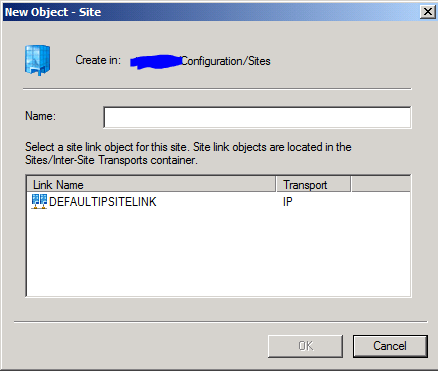 The default site named Default-First-Site-Name and the default site link is called DEFAULTIPSITELINK. These two can be renamed if needed. 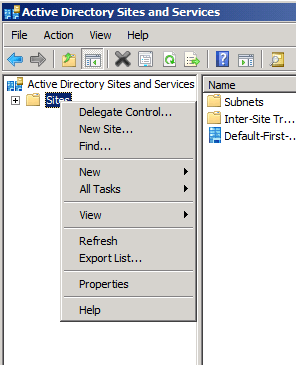 This article will show you how to create a new Active Directory Site and Subnet for a new domain controller in a remote site. 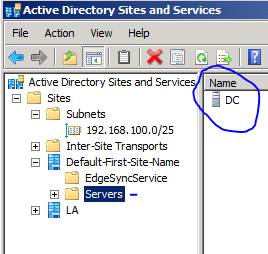 Remember if you don’t create an Active Directory site and Subnet for a remote office which holds a DC, all authentication traffic will go to the main site and not to the nearest site’s DC. 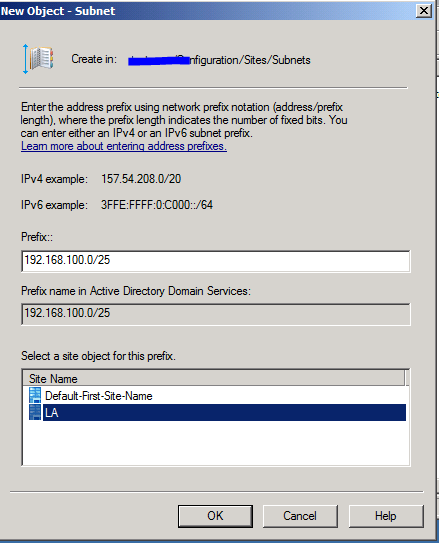 The next step is to create the subnet that will be associated with the new site so every user that logs to the network from that subnet will be pointed to the DC located in the subnet. 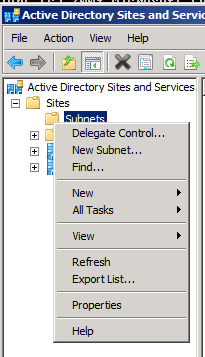 In the New Subnet window type the subnet for the remote site and associate the new site with it in the in the site object window. 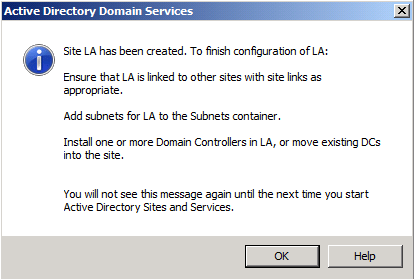 The last step is to associate a domain controller with the new site and subnet. 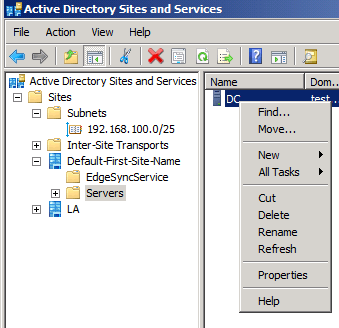 Right Click on the domain Controller you want to move to the new site or the domain controller already in the remote site but not associate with it and click Move. 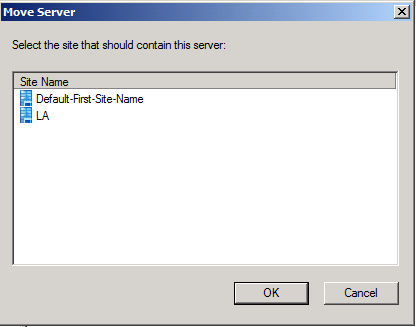 Pick the new Site name and it’s all done.